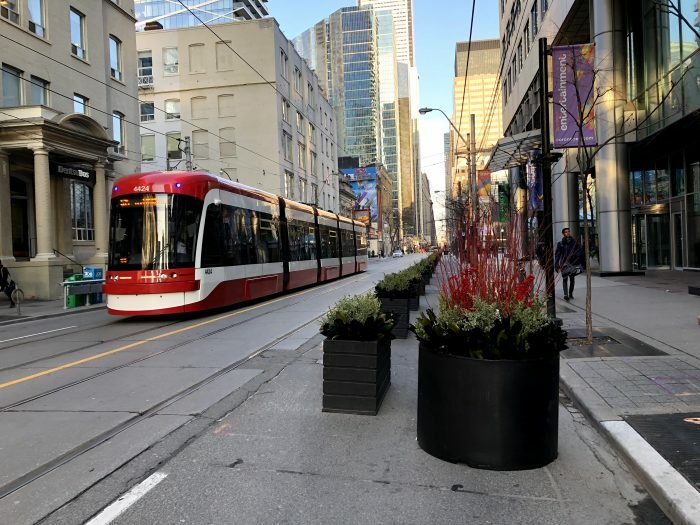 For the past few decades, Toronto’s King Street, a frequent transit corridor through the densest and fastest-growing parts of the city, has been increasingly choked by car traffic. Built before the age of the automobile, and running in mixed traffic as was typical with legacy streetcar systems, the 504 King streetcar’s speed has deteriorated to just about walking speed on most days during rush hour. 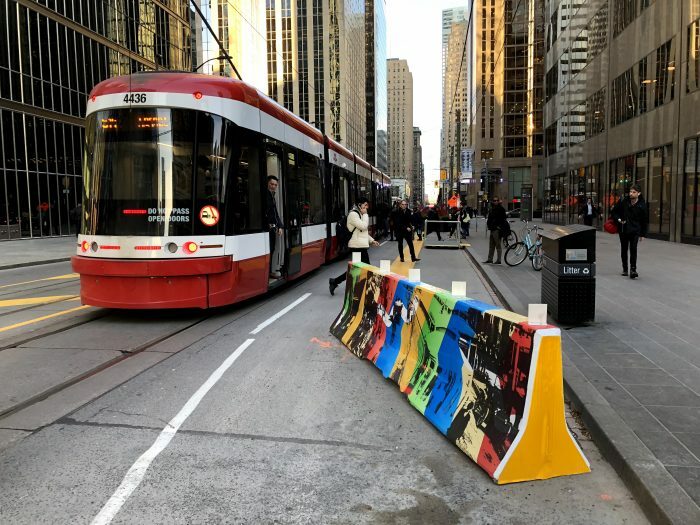 That was until three weeks ago, when the City of Toronto launched a one-year pilot project to restrict car traffic and give transit the space it needs to move. The Globe and Mail has a great piece on the significance of this project here. Details on the project and its design are available at the City of Toronto website here. The King Street pilot project prioritizes transit. 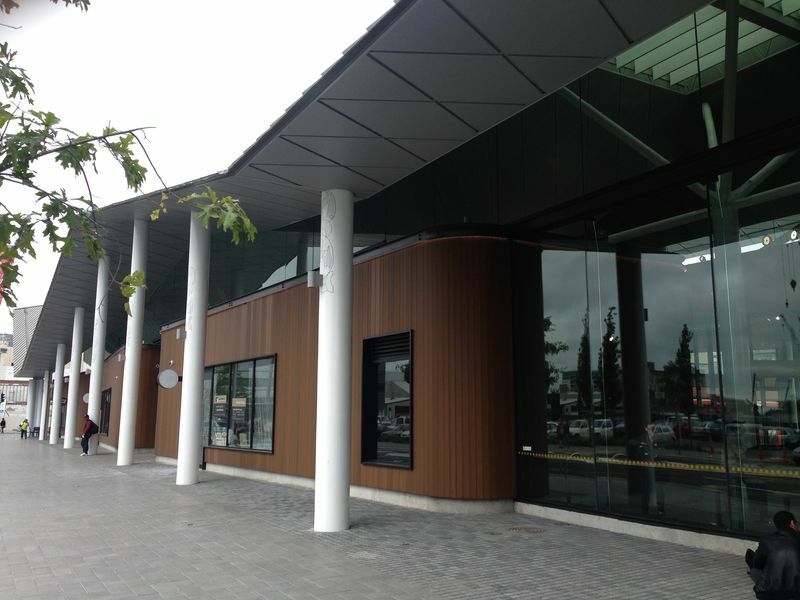 The new design of 4-lane King street was particularly thoughtful, given some of the constraints the corridor faces. While transit malls in some cities completely ban non-transit vehicles, existing high-rise parking garages that front onto King Street and businesses throughout the bustling entertainment district without back lane for loading and deliveries meant that vehicular access had to be maintained. Under the new design, left turns and through-travel are prohibited for cars and trucks at all major intersections- requiring drivers to turn right and use alternate streets. At the approach to intersections, vehicles waiting to turn right form a queue in the right lane, out of the way of transit. At some intersections, cars receive an advance turn signal ahead of pedestrians to ensure the tail of the turning queue does not impede the streetcars. Without through-traffic, having two lanes at the start of each block is no longer necessary, allowing for an important feature for efficient transit operations- far-side stops. Streetcar tracks in Toronto, and in many legacy systems, operate in the middle of the road. To board and alight, passengers must step into the roadway, protected only by a rule prohibiting motorists from passing open streetcar doors. As a result, stops have always been located on the near-side to reduce the risk of drivers making a right turn onto a transit corridor and immediately conflicting with passengers getting on or off a streetcar. Under the new design, streetcars stop on the far side of most intersections, beside barriers that effectively extends the curb to the second lane at the start of each intersection. In addition to the obvious safety benefits of the new design, the far-side stops also allow transit vehicles to travel faster. 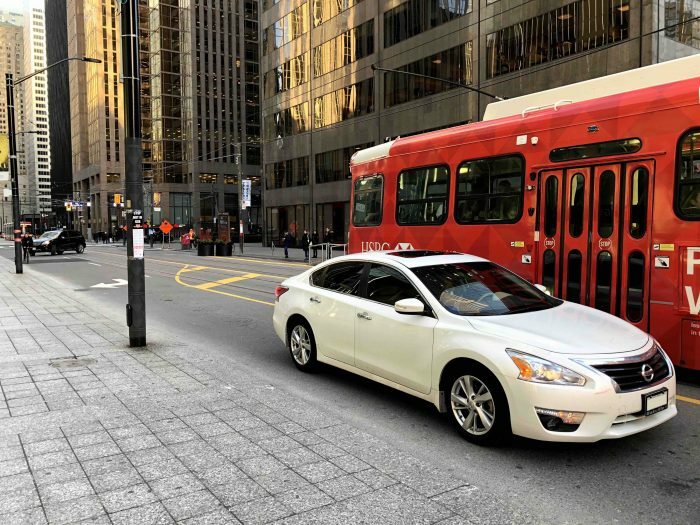 Traffic signals along Toronto’s King Street already feature transit signal priority- they detect an approaching transit vehicle to hold a green light, or shorten a red light. With near-side stops, the unpredictable dwell times at stops would sometimes cause the traffic-signal to time-out, leaving the transit vehicle with a red light just as it closes its doors and is ready to get moving. Far side stops allow signals to be held for a streetcar to get through an intersection before stopping for passengers. The new design also re-allocates curb space as loading zones, taxi stands and for new seating and patio space mid-block- all valuable features for a dense, mixed-use central business district which would not have been possible when all four lanes have been dedicated to the throughput of cars. Since its launch, public support has been for the most part, positive. 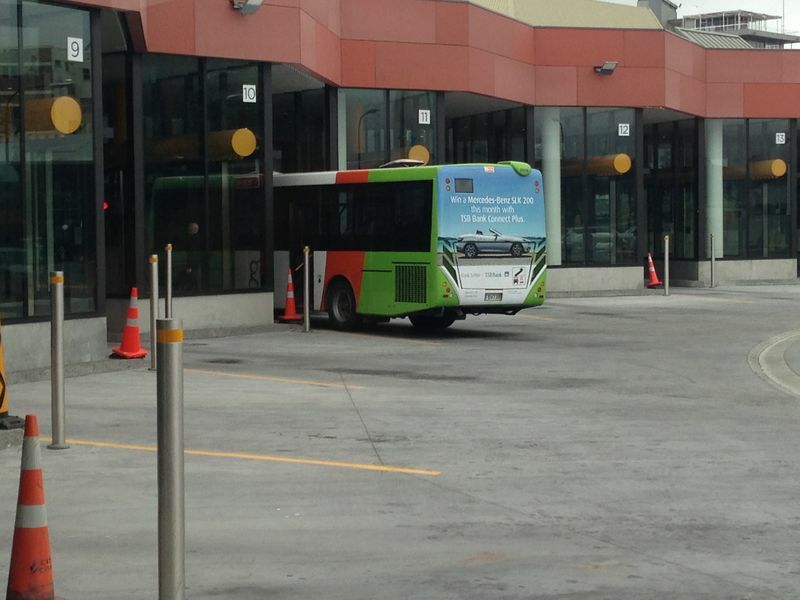 The all-at-once approach to implementing this pilot across the corridor has ensured that the new inconvenience to some drivers has also been matched with a drastic, noticeable, and immediate improvement for everyone else. Across the twittersphere, Torontonians are reporting anecdotes of more consistent departures and trips taking half as they did previously. Even among some taxi drivers, subject to the same turn restrictions throughout the day, initial skepticism appears to have eased. My cab driver just now: ‘Did you see what they did to King Street? I thought it was going to wreck the city but now that I understand it it’s actually pretty smart.’ He has no idea but he just made my day. Preliminary analysis of GPS data shows that the project is working, significantly reducing both the average and the spread of travel times. However, it remains to be seen if enough drivers will comply with the new restrictions once the initial enforcement blitz is over. If New York or San Francisco‘s bus lanes offer any guidance, Toronto should introduce automatic camera enforcement along the corridor. Over the course of this one-year pilot project, municipal staff and the transit agency will be sure to monitor the situation closely and make adjustments based on actual results. Cities, faced with growing populations and spatial constraints, must defend the right for transit to move if they wish to limit the negative impacts of traffic congestion. Toronto’s King Street offers a story of how that can be done quickly and effectively. Christopher Yuen is an associate at Jarrett Walker+Associates and will be regularly contributing to this blog. 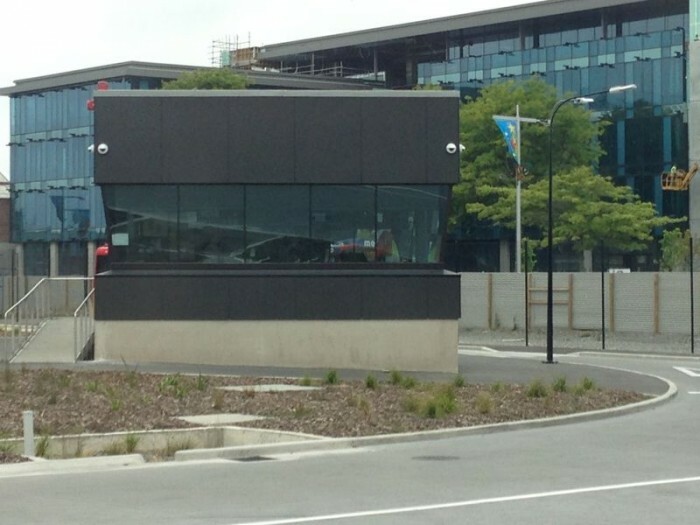 It’s almost five years since Christchurch, New Zealand was devastated by the February 2011 earthquake. A new downtown is under construction in the blocks just south of the ruined cathedral, and one of the first buildings to be opened was the new hub for the transit system. It’s a fine building: spacious, well-lit, with a little cafe as well as great information, both human and automated. Most North American transit operations people would say that you should never have to back up a bus in normal service; it’s just too cumbersome and dangerous. To be fair, here they’re backing into a bus-only roadway, where only trained drivers should be present. Each driver also has a screen in front of them showing what’s behind them. At first, though, it looked like they could have close calls, such as here between the two blue buses, one backing up as the other passed it. But it’s ok, or seemed to be. Drivers back up only into the lane nearest the building, and then circulate only using the other lane, so if everyone’s heads are up there shouldn’t be a problem. There’s also a control room in the middle of the bus loop with view of it all. Controllers there direct which bus is assigned to which bay, and watch the whole dance. There are more routes than bays, so a route may not always go from the same one, but that’s fine; there are many redundant displays and announcements to direct you. This “dynamic bay assignment”, also a way to make transit facilities more compact, has also been declared impossible in other places I’ve worked. For comparison, here are some 2010 images of the old facility, destroyed in the 2011 quake. 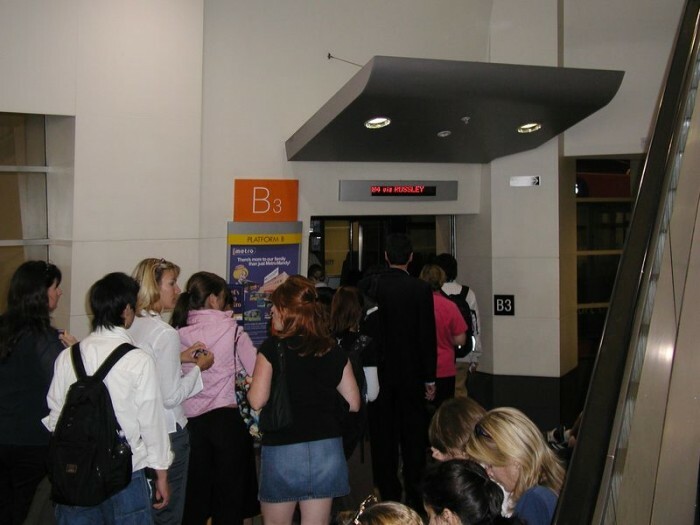 Even it was impressive to me at the time, with the platform doors, waiting area, clear info displays, and location right in the center of things. But it was very cramped, too, with bus zones spilling onto crowded streets all around it, and couldn’t have handled much growth. The new one, certainly, is much more spacious, with room to grow as the service expands. It feels a little sterile and empty now, partly because it serves a city that is only now being rebuilt. 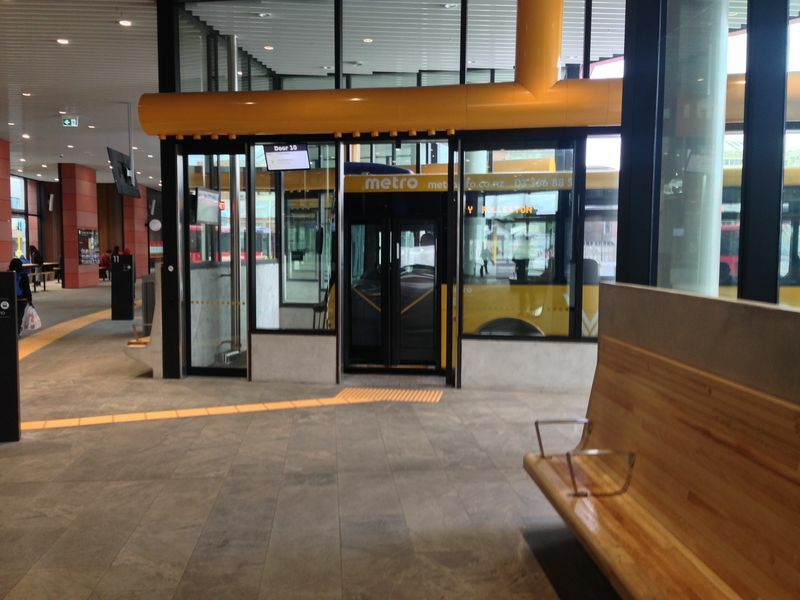 It will be interesting to see whether other agencies look to these pull-in-back-out bays — and the dynamic bay assignment — as a way to make transit hubs more compact, so that they fit better into the center of things, where transit needs to be. UPDATE: Among the great comments below, see those of Brian Smith, who had a role in the design! Deep inside the Atlantic magazine's Cities section, an article on restructuring a bus network! The city is Tallahassee, and the redesign team included Samuel Scheib of StarMetro, who comments here now and then. 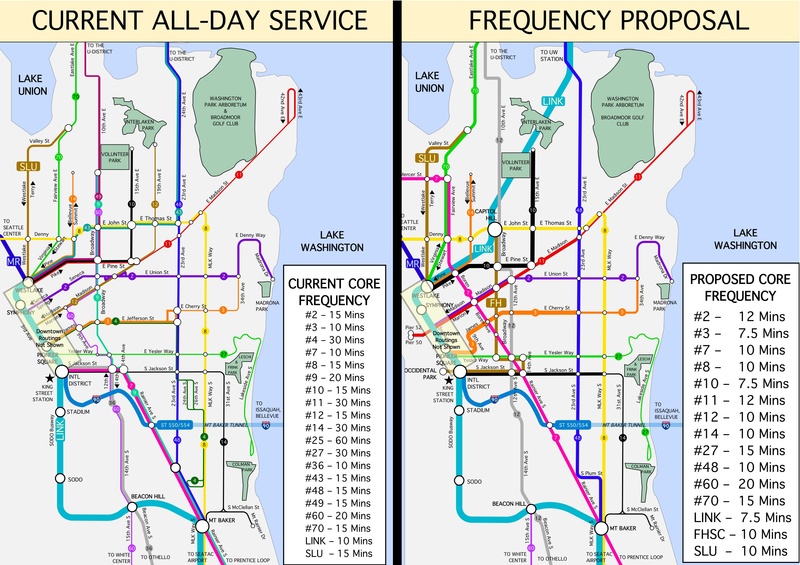 The redesign took an all-radial system, reduced the number of lines but increased their length, and introduced some new non-downtown connection points and even some lines that don't go downtown at all. Few journalists would consider the topic interesting, but the article by Emily Badger takes the lay reader through the issues, highlights the relationship to city-building concerns, and generally helps it make sense. I wish every journalist — or even every New York Times reporter — took this kind of care to understand a planning issue. Given how well Badger explains the issue, I wouldn't have minded if she'd also interviewed some riders who are personally inconvenienced by the change. But most journalists cover only the latter, as though their goal is to maximize rage rather than understanding. “If you talk to a land-use planner, typically they would want you to keep … service focused more on the downtown because they want more people to live downtown, in that dense environment. I’m all for that, I’m all for urbanization, I’m all for denser places,” Scheib said. “But the reality is that people need to get to work. And you’ve got to go where the jobs are." I can assure you that this change won't damage downtown. I was hanging around Portland's TriMet in 1982 (in the indispensible role of teenage transit geek) when they totally restructured the inner city bus system, creating a grid pattern with many crosstowns that don't go downtown at all. Several of those crosstowns are now among Portland's most productive lines. But downtown Portland survived, to say the least. Most cities that I know have one or more major downtown streets where parades and other major civic celebrations tend to occur. San Francisco's Market Street, Chicago's State Street (pictured), and New York's Fifth Avenue are obvious examples. These same cities, if they value transit, often want this same street to be the core of their transit system, because they want transit to deliver customers to the "front door" of the city. So it's normal to see huge, complex reroutings of transit service when one of the civic events is happening. The legibility problems of this shift are accepted because they happen only a few times a year. On Fridays, Saturdays, Sundays, Holidays and the day before a Holiday, buses will run along Granville each day until 9pm, then switch to the re-route, travelling northbound on Seymour and southbound on Howe. The re-routes will stay in place until the close of service. So many of Vancouver's most important street-running transit lines (mostly trolley buses in this case) shift from one downtown street to another at 9pm on almost half of all days. So the process of explaining and remembering where to find the bus is complicated all the time, which is quite different from finding the street closed for a very rare parade. What North American cities do this routinely with their main transit street? Nicollet Mall in Minneapolis is the only example that comes to my mind, but its role in the transit network is much less important than Granville's. To be clear, I'm not interested in reopening the Granville Mall debate, where many advocated closing the street to buses entirely. I am interested in the precedent as it might apply to other important transit streets, in Vancouver or elsewhere. How important is it that the transit services converging on downtown all go right to the core of downtown's demand? In a city with a strong downtown, a reactive, demand-driven view of planning will add more and more transit into downtown as demand requires, because the loads are always highest there. But sometimes, it can make sense to avoid the center of downtown, or to slide past downtown along one edge. You don't have to know Seattle to follow this. The core of downtown is the little shaded box on the left, where LINK light rail will be in a subway and other frequent buses will run on the surface. Most of the rest of the map area is also dense, so this is an area where you would expect a high-frequency grid to be possible, easily serving trips from anywhere to anywhere. But the map area is also ferociously hilly, so fitting the classical grid to this terrain has always been a struggle. Still, Zach suggests that once the LINK light rail extension northward opens, ending at the University of Washington just off the north edge of the map, something remarkably gridlike might come into being. Several of the design principles that I often advocate are at work here. First, Zach has focused on running on the fewest possible streets so as to provide the maximum possible frequency. Second, he's mapped both the existing and proposed networks so that you can see this frequency difference. But he's also provided a nice example of the oblique approach to downtown, which is a way of balancing the distributive quality of a grid with the need to serve downtown's concentration of demand. Look at the magenta line coming from the southeast. It's Line 7, now the single busiest bus line in Seattle. Off the map to the south, it extends about 5.5 km (3.4 mi) onward through dense, old, and historically low-income areas of the Rainier Valley. It touches the rail line at Mount Baker station, just inside the map, but it flows onward into the city, currently going right through downtown. Zach proposes instead that Line 7 approach downtown but then bypass it just to the east, via Boren Avenue. He would do this to create a new crosstown (north-south) opportunity to reach dense north parts of downtown (including the South Lake Union redevelopment area and Seattle Center, which is right where Line 7 exits the map on the west edge) without going right through downtown's heart. What would the dense downtown ridership of Line 7 do? Well, some of it would transfer to LINK where the two lines touch at the south edge of the map. Others, depending on exactly where in downtown they were going, might transfer to any of several very frequent east-west services crossing the line. But many who now seem to be going downtown would reveal that they're really going elsewhere. This is the key. Line 7 ridership shows massive boarding and alighting downtown, and downtown is certainly an overwhelming destination. But you always have to ask if the concentration of downtown boardings is evidence of what people want or what the current network structure requires of them. People going to the dense and fast-growing areas on the north edge of downtown will find Zach's revision a dramatic improvement. Many others may be going still further north, to anywhere in the northern half of the city, in fact; they currently have to go through downtown to make their connections, because that's where their bus goes, but they could make the same connections to northward services from the revised Line 7, often with quite a savings of travel time. Obviously, I don't have the data to validate exactly how many people are in each of these categories. I'm not even advocating Zach's design, but I do think it illustrates an important design concept, one that you will never think of if you're focused entirely on where your current ridership patterns seem to be leading. 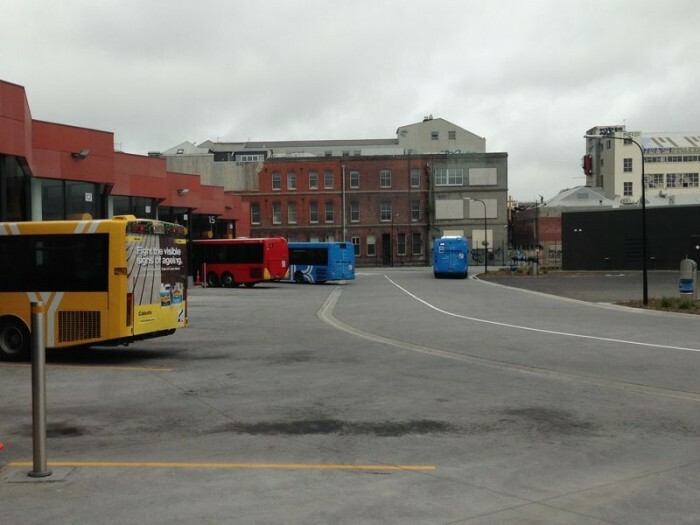 Many major cities are facing unmanageable volumes of buses squeezing through a tight downtown. Sydney, where I lived for five years, has a remarkably similar predicament to Seattle's. One solution, in Sydney as in Seattle, is to let go of the idea that radial services aimed generally for downtown need to go right through the very center of it. If there is a sufficient diversity and richness of connection opportuntiies for reaching various parts of downtown, you can often create a better design by sliding past downtown obliquely, as Zach proposes that Line 7 should do. I don't advocate or oppose Zach's design, but I do think it's a nice illustration of how to fit the "everywhere to everywhere" network design principles (such as the high frequency grid) to a very difficult terrain. It also raised some interestingly contrasting comments from different Seattle transit experts who've seen it; more on that in another post. UPDATE: Zach explains his proposal to the Seattle transit community here. Thanks to all the commenters who responded to my too-vague request in the last post. Let me now be clearer and, I hope, more concise. The square is successful as a civic heart. It's a place people would naturally go to not just to catch transit but also (a) to eat a lunch that they've brought, (b) to meet friends or people-watch, (c) to rally for a political cause, (d) to watch a local sporting team on an enormous screen (e) to attend any of a range of festival events programmed for the space and (f) to feel, as one feels in great squares, that you're in the very centre of the community, a place that is credible as a symbol of the whole community. I'll settle for most rather than all of those things, but the point is to define a certain kind of civic importance. Note that the flexibility of the space to serve many purposes is part of what makes it effective as a symbolic centre. It is, as they say of Portland's square, the community's "living room." It may have some green landscaping but it is mostly hardscaped in the anticipation of handling large volumes of people. All, or at least most, of the surface transit stops are directly on the square. That is, when you step off the transit vehicle, you feel that you are in the square, not across the street or down the street from it. These high-volume connections require walking across the square, not just along one edge of it. Finally, let me rule out plazas at universities, where the community served is artificial and intentional. I'm after places that serve as the centres of towns or cities. I'm asking because I want to discuss this possibility in my book, based on my experience in developing the idea sketched above. 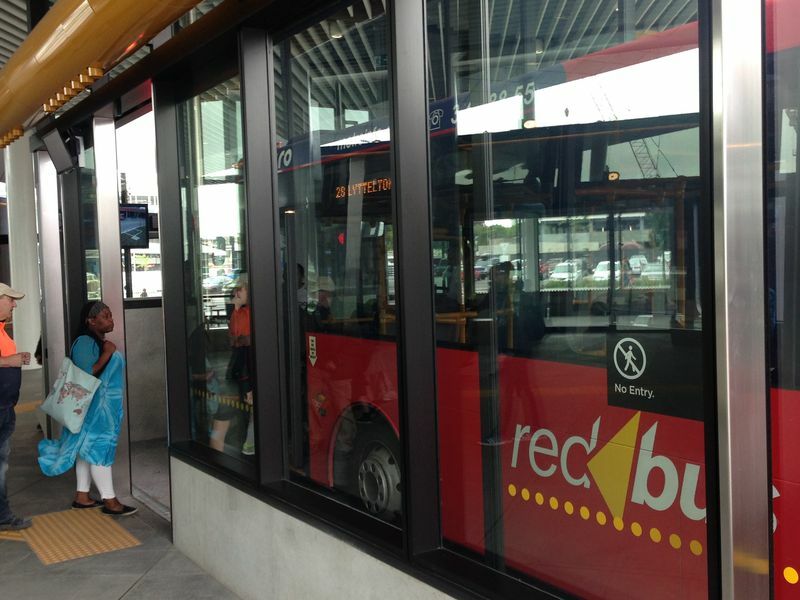 It has particular relevance as a way to organize local bus connections at a rapid transit station that is also a local CBD. If really successful examples exist, I want to praise them. If they don't, I'm interested in credible theories of why not. Is there something intrinsically wrong or unrealistic about this kind of design? Thanks for everyone who's commented so far! edmonton: strasbourg of the prairie? David Marlor was raised in the UK and is currently a regional planning manager working on the coast of British Columbia, Canada in a coastal rural setting. 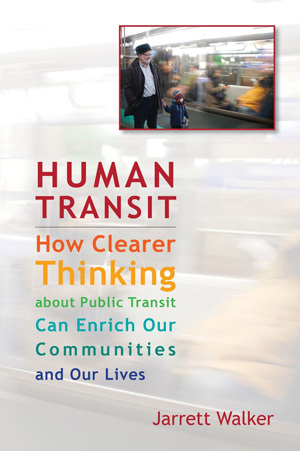 He holds a planning degree from the School of Community and Regional Planning at UBC, where his thesis was on an integrated approach to transportation planning in the lower mainland. In the past couple of years, led by Bob Boutilier (general manager of transportation) the City has been planning the expansion of the LRT using low-floor technology. Edmonton is credited with leading in transit innovation twice in the past. In the mid-1960s, transit superintendent Don MacDonald introduced an early version of a hub and spoke [or pulse] transit system. This is still widely used in Edmonton and in many other North American cities. The second was the introduction of the modern LRT to North America in 1978. What’s different about the current LRT plans in Edmonton is that instead of fast LRT trains moving commuters from suburbs to the city, the LRT will be a European style system, still in its own right of way, but with stops closer together, smaller and more intimate with the community, low floor vehicles and replacing car lanes with LRT lanes. That last is a paradigm shift for Edmonton. LRT up until now has been about building it without removing road capacity for private automobiles. The new LRT lines, the cost of which is currently pegged at about Cdn$3.4 billion, will see extension of the existing high-floor system to the north-west north-east and south as demand warrants, but the lines will fit the community better than before. The approved plans includes a completely new low-floor network running on the street, even in the city centre. It is a system designed to support future TOD at the stations, to encourage higher densities. Unlike the existing system, only five stations on the proposed 29 station low floor line have bus stations attached to them and only two have park and ride facilities, both adjacent to freeways. This is about shaping the city, not moving commuters from the suburbs to the city (although that is part of it, it is not the focus). The plan includes future low-floor line linking the downtown with the Old Strathcona business district on the Southside of the river and a line out to the eastern suburbs. 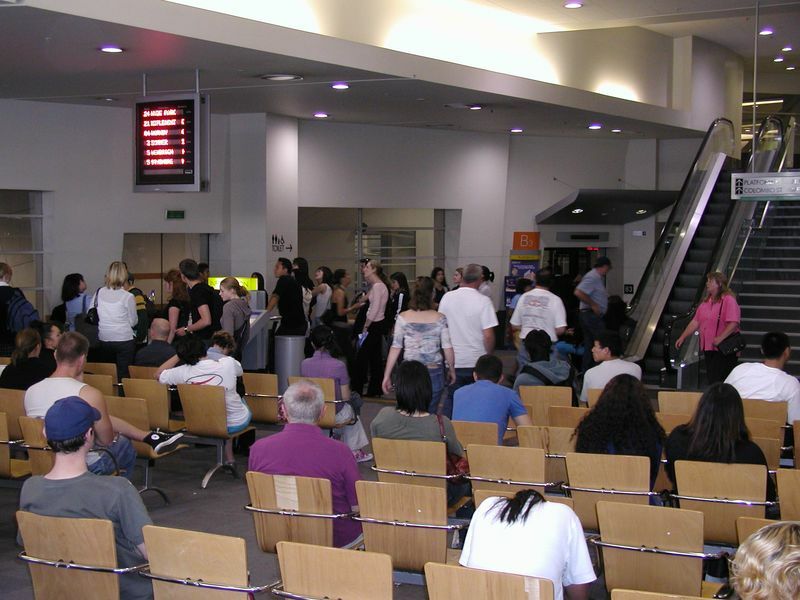 In fact, the proposed the proposed Edmonton system may remind some readers of Strasbourg. Like Strasbourg, Edmonton is envisioning completely remodeling the streets the trams run on – in many cases removing lanes of traffic, restricting turn movements, closing or redesigning intersections, and where possible, widening and improving the pedestrian infrastructure. 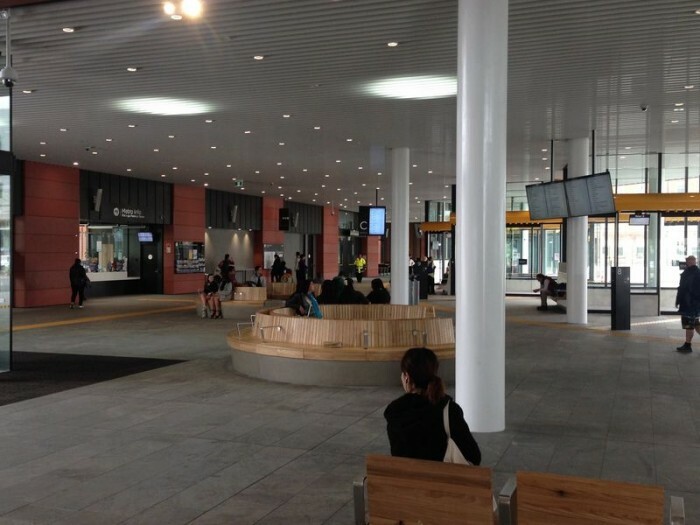 Like Strasbourg, the stations (stops) will be located every 3-4 blocks (300-400 metres) in the city centre and further apart outside the core. The aim is around every 800 m, but in reality the stops will be placed at convenient nodes or logical locations that best fit the fabric of the city. The City of Edmonton website has extensive information, including design details, routing, and illustrations. Unfortunately, the project is not funded yet, but City Council and the Mayor are keen to see it happen and want to get it built in the next 6-8 years. The plans are ambitious, and it's exciting to see a car-oriented oil producing city like Edmonton be thinking and supportive of this direction. Portland: Is Parking the Problem? In the last post I pointed to a set of data out of the City of Portland showing that in a 12-year period when the city added four new rail transit lines, including the globally marketed Portland Streetcar, the percentage of Portland residents who take transit to work (called transit’s “journey-to-work mode share”) seems not to have changed at all.